Bring Shady Lane Cellars Home Today! Our ultimate goal is always to craft wines that reflect the beauty and bounty of the Leelanau Peninsula. Each bottle is able to be shipped directly to your door, providing you with the best that Leelanau Peninsula can offer, even if you can’t make it for a visit as often as you’d like. 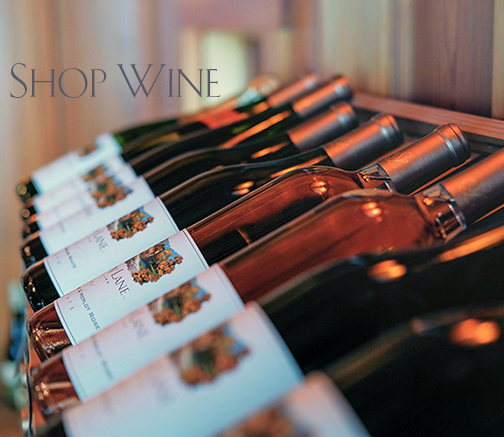 Browse our selection of award-winning wines available for purchase today. We currently ship to D.C., Florida. Illinois, Indiana, Michigan, Minnesota, Ohio, and Wisconsin. Have your heart set on a cool piece of wine decor or Shady Lane apparel that you saw in our tasting room? Call or email us today and we’ll ship it directly to your home!